A yard fence can add beautiful curb appeal to your home. But even more importantly, a yard fence provides a barrier between your family and the world. There are many fence ideas to choose from. When considering what kind of fence you want, think about what your needs are for a fence. Is it only privacy that you are wanting? Or is it keep pets in and other pets out of your yard? If you have small children, you may want a fence for safety. Whatever your needs are, the good news is that I am sure you will find a fence in this article that will be perfect for your home. I hope that I can give you some ideas to begin your own yard fencing project. There are many different fence ideas and designs that you can make yourself. I have included a list below of fence ideas you may want to consider trying. Is wood not your style? 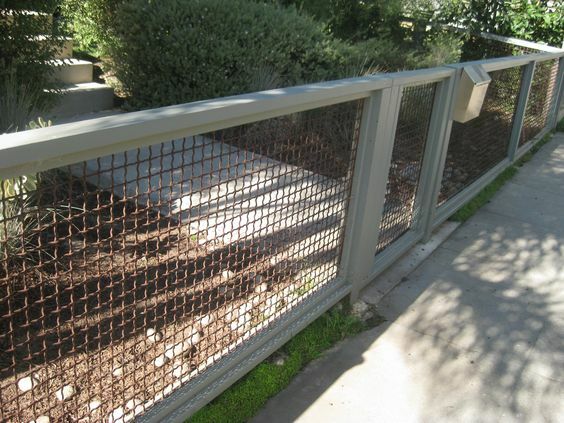 Then a concrete fencing option might work for you. 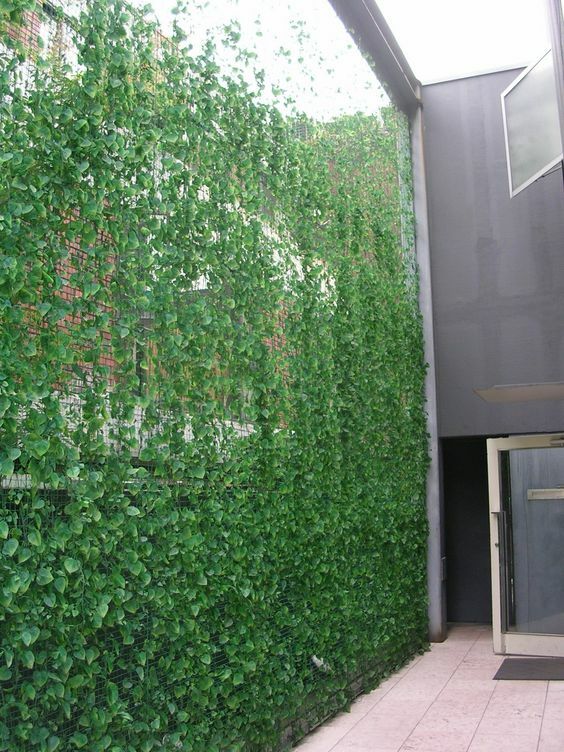 Most concrete fences are more like a wall than a fence, and its main purpose is to give you privacy. You may want to hire a professional to build this type of fence. Horizontal fence designs are very common. 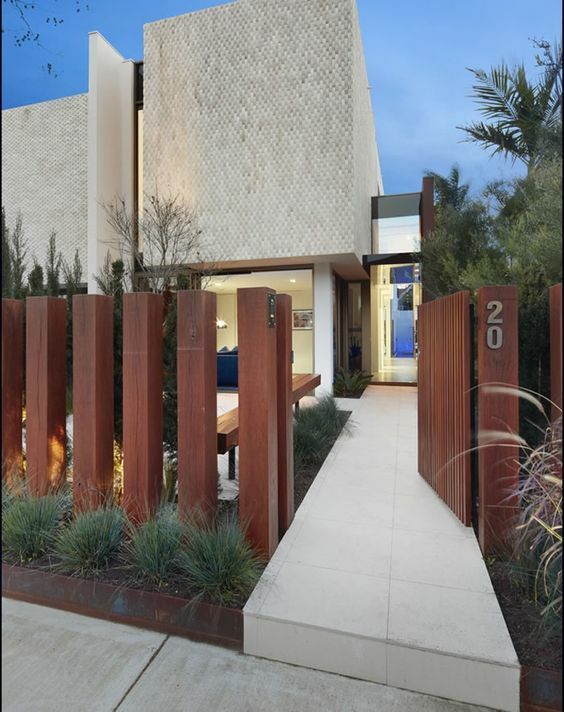 This modern yard fence is a great fence idea for your yard and can add a beautiful look. You can build horizontal fences out of wood or metal. Some people have used both concrete and wood when building this type of fence. 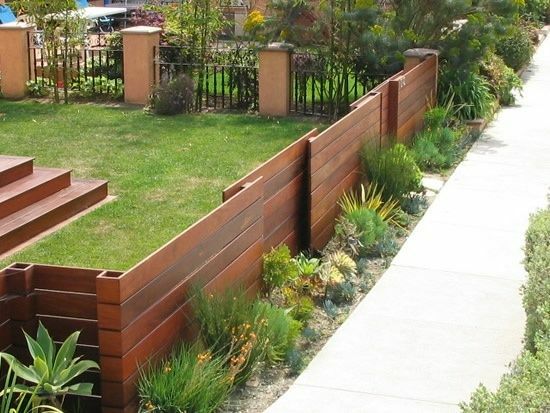 Wood is probably the easiest and most popular material to use when making a horizontal fence. Brick is a common material used to make fences. 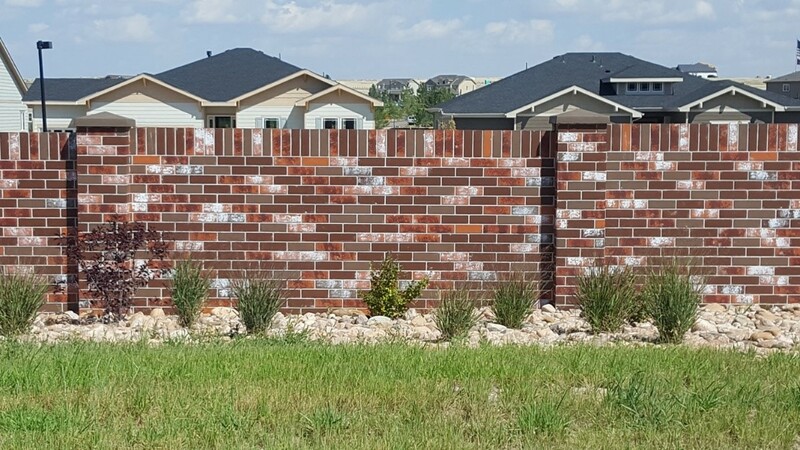 Some people make their entire fence out of brick, while others use bricks and other materials. It is common to use bricks and concrete together so that your fence is extra strong. Keep in mind that brick fences are more like a wall than a fence. 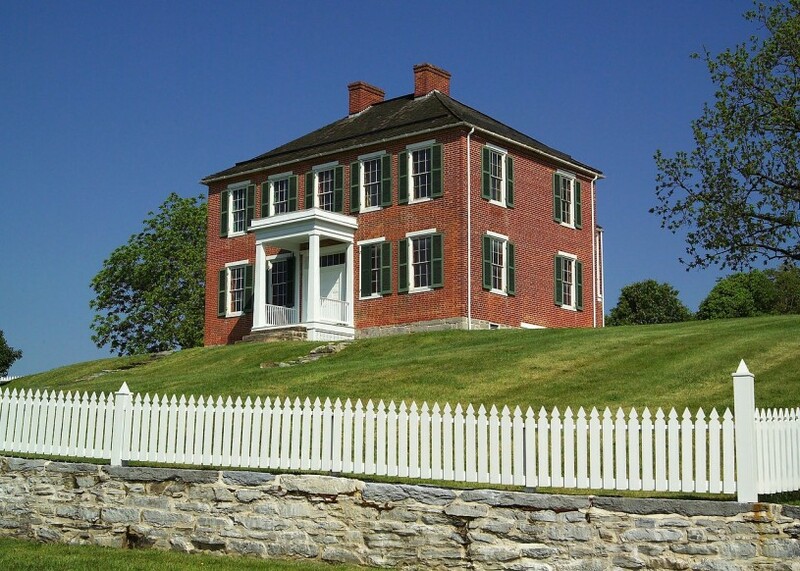 A vertical fence is a type of fence that has a gap in between each post. Basically, there are no boards that screw onto the posts, but instead, the posts are the fence. 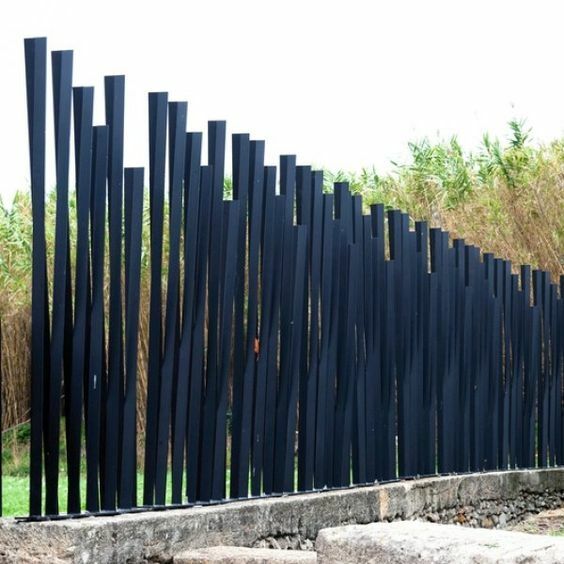 You can use wood or metal to make this type of fence. This type of fence is a good option for those who want some privacy, but don't want to entirely block their yard. Keep in mind that this type of fence may not keep your pets contained. If you want to keep your pets in your yard, or if you want to keep pets out of your yard, a fence without gaps would be better. It also does not provide as much privacy as other fences do. 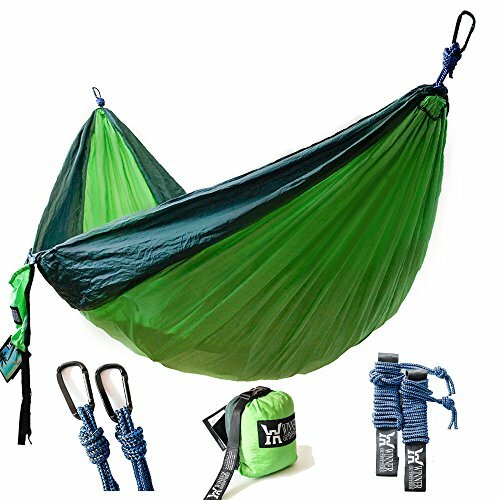 This is more for looks rather than being functional. Almost any fence can be turned into a low fence. All you need to do is build it with shorter materials. A picket fence is a good option because it can look good at any height. 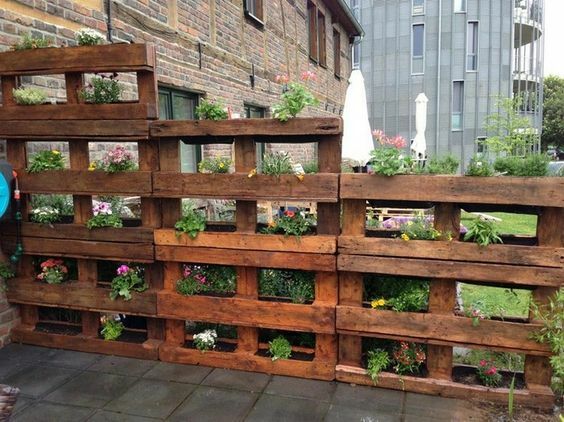 You can also make low fences out of bricks, concrete, or wood pallets. The fence would be about three feet tall. This type of fence is fairly inexpensive and is very easy to make yourself. All you need are wood pallets and some screws to screw them together. If you are wanting a higher fence, simply put a pallet on top of another pallet until it is your desired height. 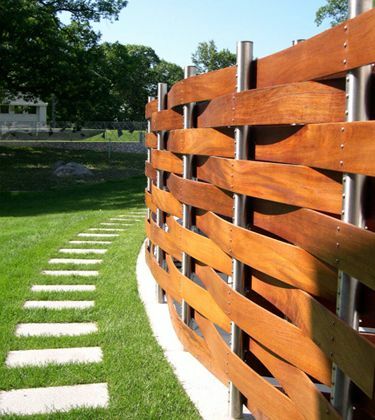 There are so many ways to make your fence creative. 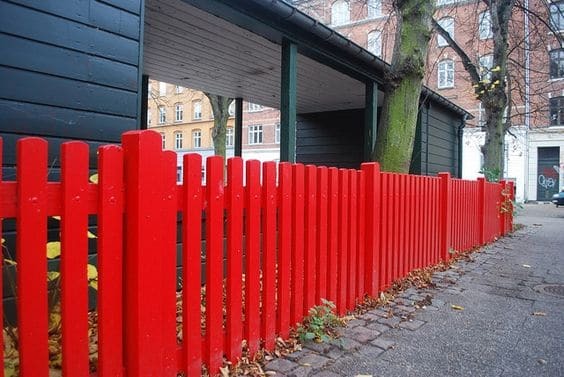 One simple way to make your fence creative looking is to paint it a bright color. The photo below shows that you can use any color you desire, even if it doesn't match anything else in your yard. Be mindful of neighborhood restrictions and how your fence color will add or detract from areas around you. You can also make your vertical walls extra creative, such as the picture under the first image. Chain link fencing is very popular. Most people use this type of fencing to keep their pets contained. To make this fence, simply attach the fencing to your posts. 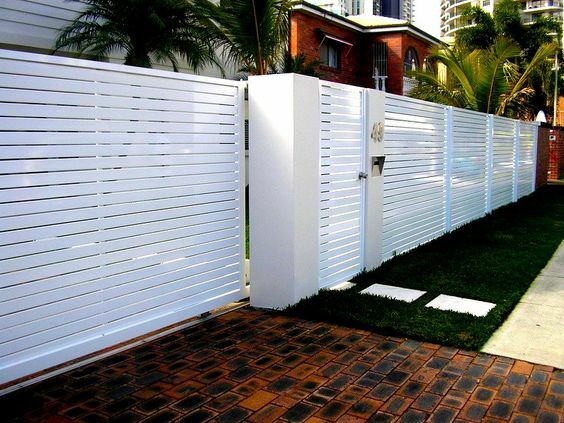 This type of fencing is very easy to install and does not require much labor. Similar to a woven rug, a woven fence is made of boards that weave around the posts. This style can add a creative look to your yard. 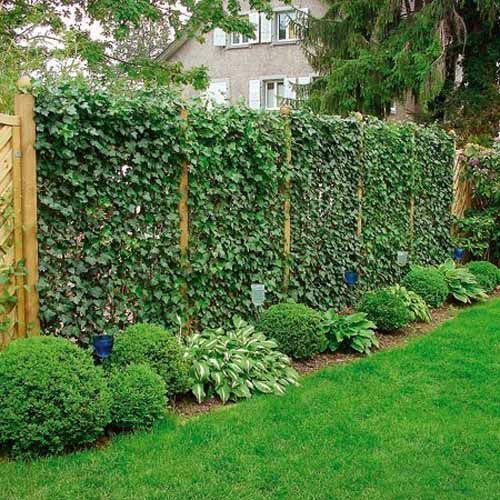 A garden fence is a fence made from plants, such as vines. Most garden fences cover fencing, such as chicken wire. 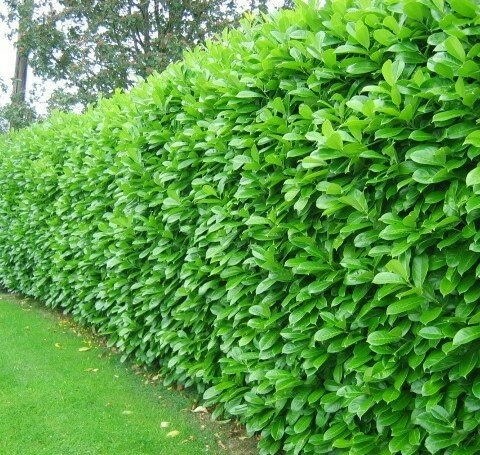 You can also make a privacy fence out of hedges. 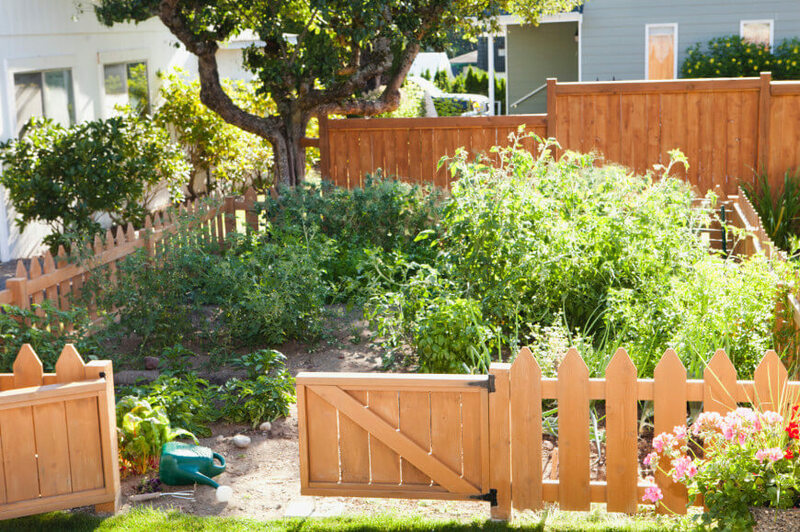 Building a fence may sound simple, but there are a few things you will need to consider. Consider what type of material you want to use and why you want to build a fence. The following considerations will give you an idea of where to build your fence and how you want it built. Let's get started. 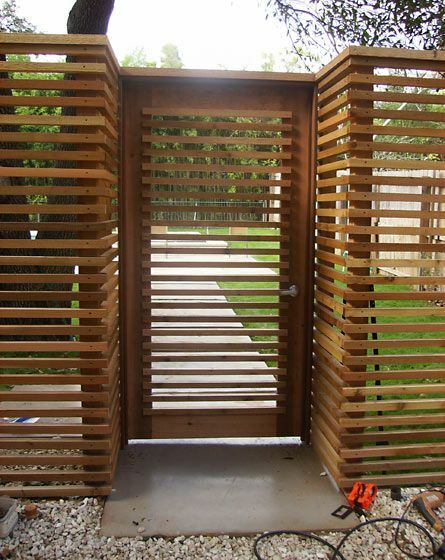 Do You Want a Fence Made from Wood, Concrete, Brick, or Stones? The types of materials used to build fences are endless. From wood to stones, each type of fence has a unique purpose and can add a unique look to your yard. If you use wood, just remember that wood will rot at some point and will need to be treated and stained. However, with proper care, wood can also add a beautiful, rustic look to your yard. Consider which type will look nice in your yard and get started. One reason why you may want a fence is that you want privacy. Is privacy the reason why you are considering building a fence? 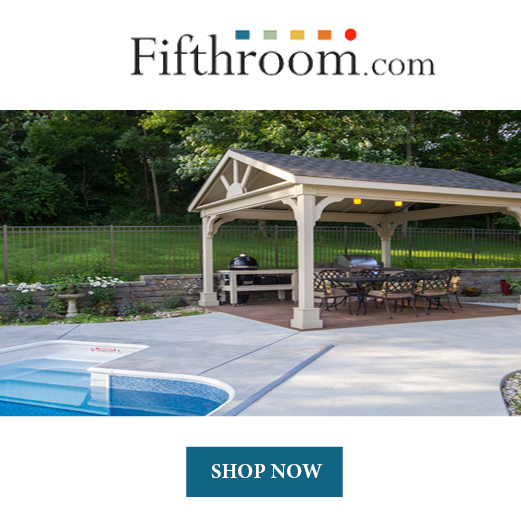 Which area of your yard do you want private? This will give you an idea where you would like it to build your fence and how you want it built. Are You Trying to Keep Animals In/Out? Sometimes the purpose of a fence is to keep animals from escaping or coming into your yard. The beauty of a fence is just the topping on the cake if that is your case. Make sure to build your fence strong enough so that if an animal tried to escape or enter your yard, the fence will stay firmly in place. Also, make sure to build your fence high enough and to not leave any open gaps at the bottom of the fence. Consider how much money you are willing to spend when building a fence. The cost of your fence can add up quickly, and you may end up spending more money than you budgeted. 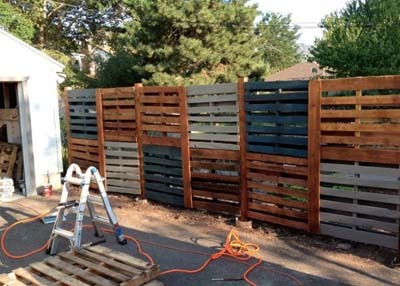 If don't want to spend too much money, a fence made from wood pallets may be a good choice. Should You Let a Professional Do It? It's nice to admire the work we've done ourselves and proudly show people the things we've accomplished. However, some things should be left to the professionals. If you think a fence may be too difficult for you to build, a professional can help you. Search your area for someone who has built fences before or who is a licensed builder and knows how to build the type of fence that you want to be built. Should You Ask Your Neighbors If You Can Build the Fence? If your property touches your neighbor's property, you should ask your neighbor first if you can build the fence. Once you are given permission to build the fence, make sure you build it on your side of the property if you are not sharing costs. Do not attempt to put the posts on your neighbor's property, even if your neighbor doesn't seem to use that area. Because you and your neighbor will be sharing the fence, you may want to ask your neighbor if he wants to help pay for it. Or maybe you can both work together to build the fence. Make sure your neighbor approves of the type of fence you are building. If you need to know where your property line is or if you need prior permission to build a fence, check with your city offices. Also keep in mind that in some cities, you may need to file for a permit and get permission prior to building your fence. There are endless options once you decide to build your fence. Perhaps you want to build it in your front yard where people can see it. This will give a nice curb appeal to your house. Or you could divide your land with a fence so that you have a front yard and backyard. Another idea is to build your fence around the perimeter of your yard. 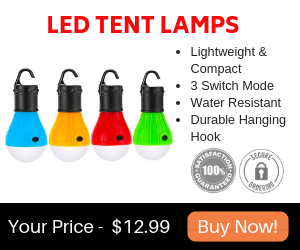 This option keeps your children and pets contained and other children, pets, and wildlife from entering your yard. 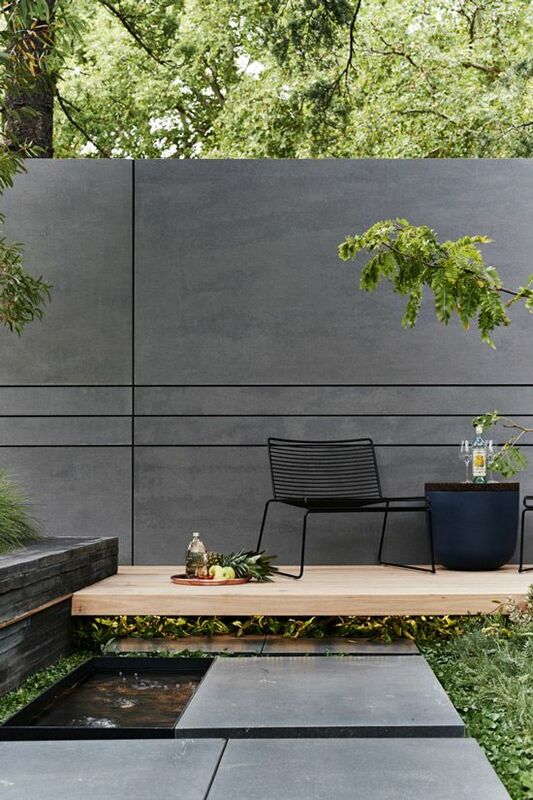 If you are building your fence for privacy, build it in a place where you desire the privacy. For example, perhaps you need more privacy in the backyard than you do in the front yard. If so, build a privacy fence in the backyard instead of the front yard. I have shared with you many fencing ideas. I hope that I have inspired you to start planning a fence that will compliment your home and your lifestyle needs. As you can see from the photos I've included, there are many styles to choose from. You are only limited by your imagination and your budget. Have fun coming up with a fencing plan suitable to your needs and budget and then get building!